The Daily Sentinel of Nacogdoches' Best of Nacogdoches reader survey is underway and you can win a $100 gift card just for voting! Click HERE to cast your vote in the Medical category. Lehmann Eye Center's doctors are honored to be nominated in two categories. • Robert P. Lehmann, M.D., F.A.C.S. • Timothy N. Young, M.D., Ph.D. Votes can be submitted online until 5 p.m., Friday, April 12. 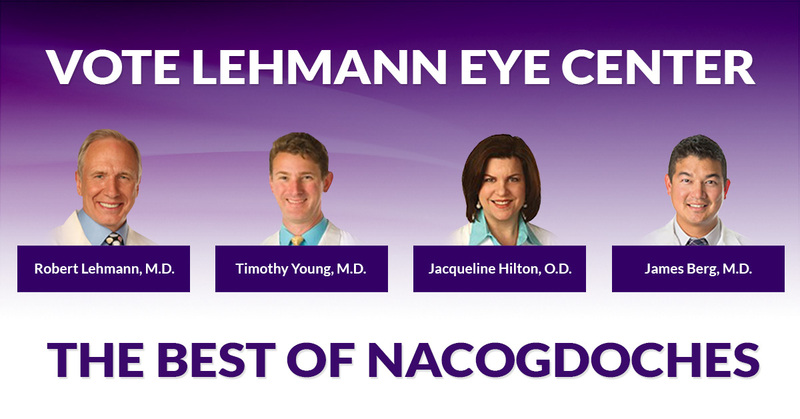 Choose Ophthalmologist and Optometrist to cast a vote for your favorite Lehmann Eye Center doctor!